It started with the creation of the world. 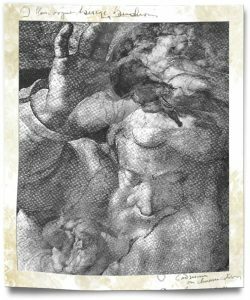 God raised his hand and blessed everything that entered his imagination: everything He thought and sensed humankind would need and love. I’ve heard it said that the word Easter originated from the time when Eostre, the pagan goddess of spring was said to rule over fertility, abundance, the renewal and rebirth of all living things. Easter to Christians relates to the resurrection of Christ and his offering of the gift of eternal life. When I was a child, Easter meant Macy’s Easter Parade. The brass band loud and proud leading the floats where Bugs Bunny, Mickey Mouse and sometimes Donald Duck cruised 5th Avenue cheered by their New York City tenants. All the little girls in crinoline, wearing wide-brim Easter bonnets in glaring white or a pastel colour, their black Patten leather shoes gleaming in the sunshine. I recall the discomfort of springtime’s heat in the afternoon. My hands perspiring inside cotton gloves, the ribbon from my bonnet too tight to swallow chafing my neck. My arm quite sore from carrying an Easter basket lined with green paper strips posing as grass, where plastic Easter eggs, chocolate bunnies wrapped in tin foil, sugar-coated yellow marshmallow chicks, and painted Easter eggs were not to be eaten but meant for show. Recalling that 1950’s tradition, I’m glad we’re not subjected to those superficial Easter parade shows anymore, and the bonnet and party dress catwalks down the streets is dead and a thing of the past. With every year that has passed, commercializing this holy event has drawn us further away from the soul and heart of the matter, so much so we’ve forgotten the significance, the why Easter and what it represents is a joyous cause to celebrate. That renewal and rebirth signifies that the body rests and then dies only to reappear, reincarnate as it were, means the promise the Christ made is every body’s, everyone’s reality. The Buddhist know and understand why and how we reincarnate. The Hebrew, the Hindus honour this human right as well. The very earth we walk on, at death takes us in, spreads our remains throughout the ground, merge us with the seas, sweeping our immaterial selves into the ethers; where in due time we re-join with Spirit and become form once again. The Apostle John tells us that Christ appears to his disciples, demonstrating he has resurrected and is not dead. 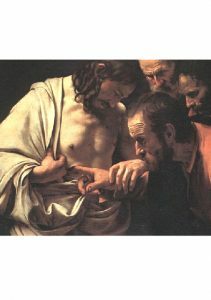 He urges Thomas who hesitates to, “touch me; do not doubt but believe” and from where the saying, doubting Thomas originates. Happy Holy Days. Happy and Joyous Easter. A reason to celebrate!